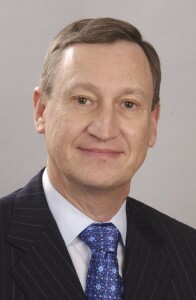 “The world’s population is growing by 80 million people every year and if nothing changes, by 2050 we will need our finite resources to meet the demands of two billion more people,” wrote CropLife International CEO Howard Minigh in a Jan. 3 editorial on AgriBusinessGlobal.com. “Making the food security challenge even more difficult, farmers are growing food crops that must compete with 30,000 species of weeds, 3,000 species of nematodes, and 10,000 species of plant-eating insects — all of which are invading new geographies with a changing climate. “The crop protection industry continues to invest heavily in cutting-edge innovations to help farmers to meet these challenges. But innovation doesn’t come cheap and it is not easy. The cost of bringing a new crop protection product to market is $286 million — up more than 50% since the turn of the century — as product candidates meet an increasingly high performance bar for safety and efficacy. It now takes more than 11 years of research and development — three years longer than in 2000 — to bring a crop protection product to market and the average number of new molecules screened in order to discover one new crop protection product has increased from 52,000 in 1995 to 152,000 today. “Given the huge commitment required to bring new innovations to market, our industry needs predictable and risk-based regulations alongside robust intellectual property rights for companies to have the confidence to continue to invest in solutions. However, the increased politicization of regulatory decisions in Europe and around the globe is eroding that confidence. Click here to go to full editorial.